Bit of a weird one this, but bear with me. In the numerous coffee-table books on films that I’ve collected, this is pretty much always the first one on the list of ones to watch. This 1902 short film (12 minutes, and it’s on YouTube) is generally credited as being one of the first popular films. It brought special effects into the mainstream, and despite its length manages a substantial plot and even some anti-imperialist satire. It definitely helped to watch this film with my 1902 Edwardian-era hat on, in order to appreciate the film in the way that it would have been appreciated at the time. I was actually really surprised at how good the effects were for the time. For example, the aliens that live on the moon suddenly vanish in a flash of smoke, and it doesn’t look clunky by any means. 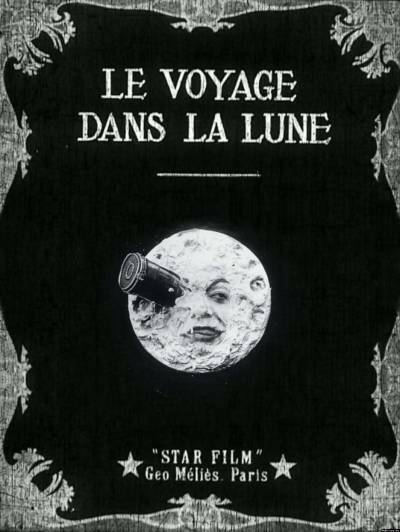 The face on the moon (which admittedly is the stuff of nightmares) is cleverly superimposed- I didn’t even know they could do that as early as then. It’s also interesting to remember that no one had actually been to the moon at that time- so it really was just science fiction for people to travel there from Earth. This, clearly, is a film you’d watch to study and appreciate the history of film, and not for settling into the sofa with a bowl of popcorn. Definitely recommended for discussing at dinner parties to make you seem sophisticated and erudite. Hard to rate this one… 3 stars?